Visionary scribe Chris Yost joins forces with rising-star artists Scott Wegener and Patrick Scherberger to assemble the greatest super heroes of all time- Iron Man! Captain America! Thor! Hulk! 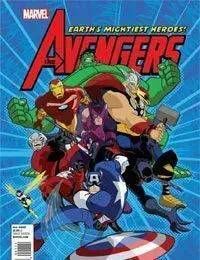 When the world's most evil villains attack, Captain America and Thor must join forces to stop them! Plus, don't miss a second story featuring everyone's favorite archer: Hawkeye!